Having made fundamental contributions to the fields of robotics and computer aided learning technologies, Professor Marvin Minsky is considered the father of Artificial Intelligence and founder of personal computing. However, Cerebral Hemorrhage took his life last week on Sunday, January 24, 2016. A scientist, philosopher and a professor at MIT, Minsky had a successful life and career. 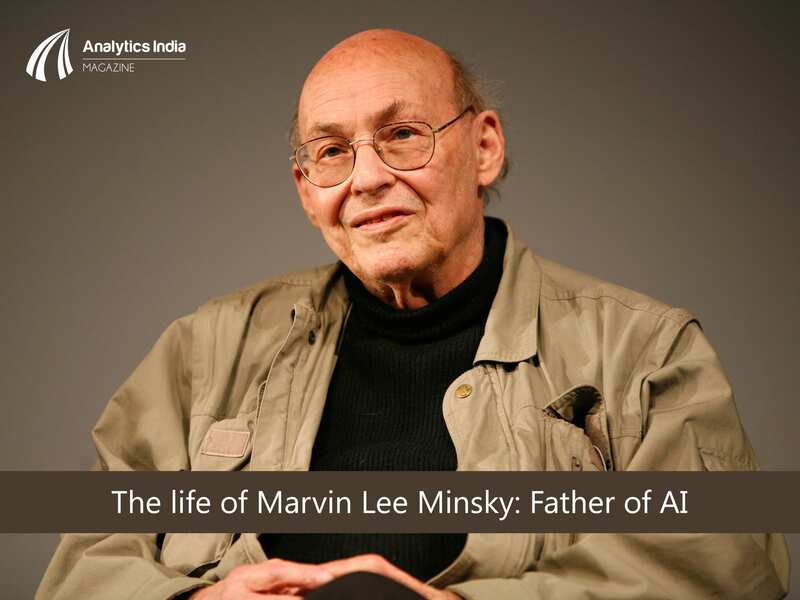 Born on August 9, 1927 in New York, Marvin Lee Minsky was the precocious son of Dr. Henry Minsky, an eye surgeon and Fannie Reiser, a social activist. Fascinated by electronics and science from a very young age, he attended the Ethical Culture School in Manhattan, then moved to the Bronx High School of Science and later the Philips Academy in Andover. After serving in the Navy during World War II, he graduated from Harvard in mathematics and earned his Doctorate in Mathematics from Princeton University. However, he sought to move away from mathematics and found solace in ‘intelligence’. Back in 1950s, well before the dawn of the age of supercomputers, Professor Minsky worked on computational ideas to characterize human psychological processes and laid foundation for artificial intelligence by establishing possibilities of endowing machines with intelligence. With scientist’s thirst for knowledge and philosopher’s quest for truth, he was a pioneer in artificial intelligence. So much so, that in 1951, he was the first to build the SNARC, the first neural network simulator. His other inventions include confocal scanning microscope in 1956 and mechanical hands with sensors that influenced modern robotics greatly. He authored the ‘Society of Mind’, a book that is considered to be the basic for understanding the diversity of the mechanisms interacting in intelligence and for exploring intellectual structure and function even today. He hypothesized that there is no real difference between humans and machines. In 1959, along with his colleague, John McCarthy, who coined the term “artificial intelligence”; Minsky became the co-founder of the MIT Artificial Intelligence Laboratory where he encouraged his students to experiment with early computers, leading them to create a legacy of ‘Open Source Software’ and supported them to become the first generation of hackers who believed in the free exchange of information, meritocracy, decentralization and innovative programming. Consequently, this sparked the culture of free digital information and software design, and seeded the notion for ARPAnet, the forerunner of modern day internet. Thus, he even served as inspiration for the creation of personal computer and the Internet. He was an intelligent and accomplished man, with eclectic interests. Along with his mathematics degree, he also studied music and liked to play piano. Professor Minsky was accolated with many awards and honors, most notably was the Turing Award in 1969, the highest recognition for computer science. In recent years, he was working on imparting the human capacity for ‘common sense’ reasoning to machines. He will always be remembered with awe and inspiration for generations to come. Why Spark is the new R?